This Clayton, North Carolina hotel is located off Interstate 40 and is 7 miles from Walnut Creek Amphitheatre. It features an outdoor pool, gym and guest rooms with free Wi-Fi. 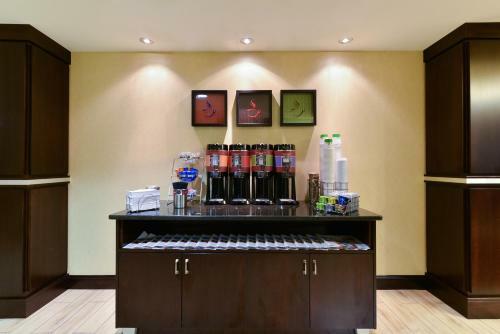 Hampton Inn Clayton offers a coffee maker and cable TV in every room. A large work desk is also provided. 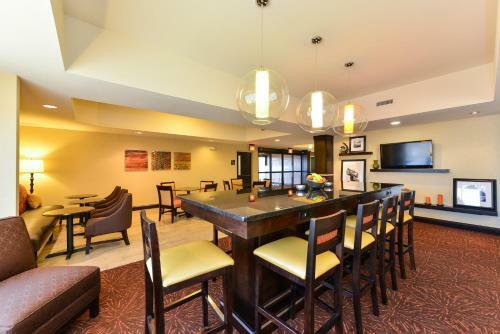 Guests at the Raleigh Clayton Hampton Inn are served a continental breakfast every morning. Laundry facilities and a business center are available. Downtown Raleigh and the Civic and Convention Center are a 20-minute drive from the hotel. The Marbles Kids Museum is also 20 minutes away. 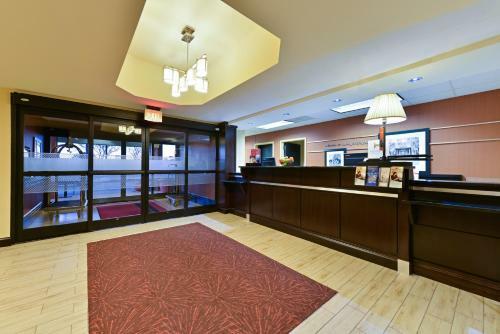 the hotel Hampton Inn Raleigh/Clayton I-40 so we can give you detailed rates for the rooms in the desired period.